Are you looking to outsource your energy organization’s cybersecurity? 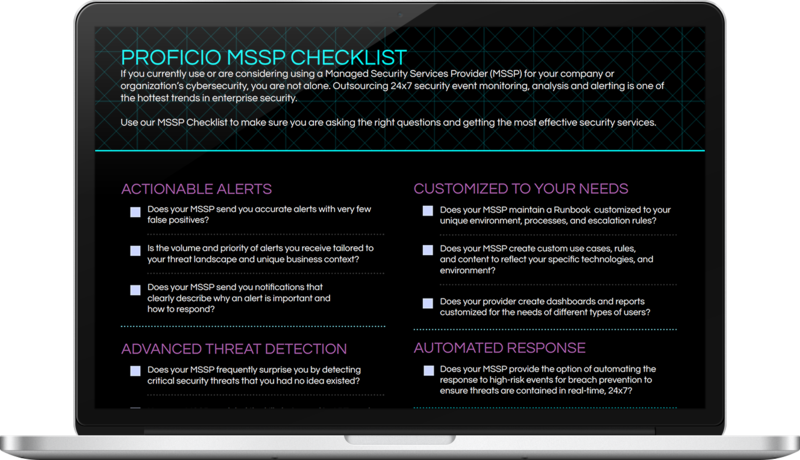 Use our free MSSP Evaluation Checklist to make sure you are asking the right questions of your MSSP. Industrial control systems (ICS) are the backbone of the nation’s critical infrastructure. In 2013, President Obama signed Executive Order 13636, Improving Critical Infrastructure Cyber Security, requiring the creation of a cybersecurity framework including information security measures and controls, to help owners and operators of critical infrastructure identify, assess, and manage cyber risk. Proficio helps energy companies and utilities protect critical infrastructure from attacks, as well as prevent valuable intellectual property from being stolen. Supervisory Control and Data Acquisition (SCADA) systems are increasingly connected to the internet, further increasing the risk of an attack.